Evaluating the hardness of eye pencil tips. The hardness of an eye pencil tip is important; the texture of the eyeliner should be such that upon application, it smoothly glides along effortlessly enabling ultimate control and flexibility. 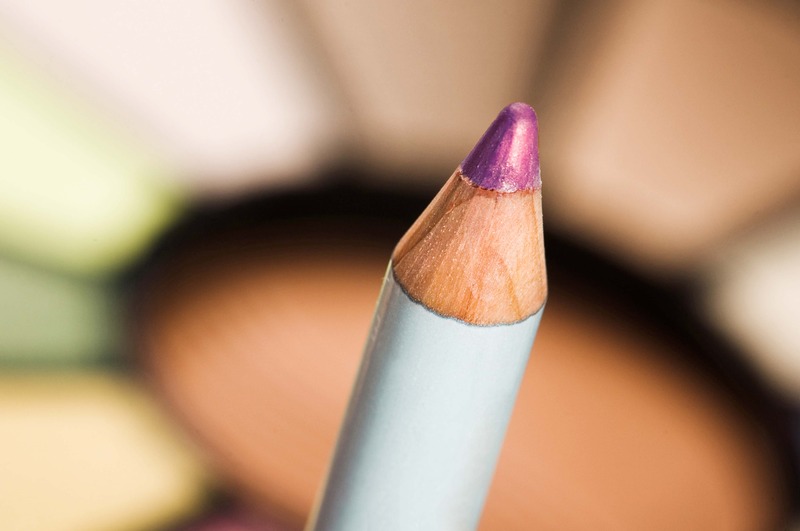 The consistency of the eyeliner together with its soft texture will therefore influence its performance. For instance, a tip that is quite dry may cause discomfort to the user during application by pulling or tugging at delicate eye tissue. The CT3 texture analyzer utilizes an eye pencil rig to quantitatively measure the hardness of eye pencil and lip lining tips. Note: The penetration distance can be modified, however, the target distance chosen should be such that the probe does not touch the base of the fixture base table, otherwise the instrument will be overloaded. The hardness values will also increase relative to the increased penetration depths. Consequently, for comparison purposes, penetration distances must always be reported. 1. Attach the eye pencil jig onto the load cell. 2. Place the sample into the diagonal hole of the jig. 3. Position the base table centrally under the pencil tip and then tighten the screws of the base table. 4. Lower the pencil jig to about 1 cm above the base table. 5. Fix the sample in the hole at the desired position by tightening the screw on the jig such that the pencil tip is at an angle from the base table. 6. Start the compression test. Note: When optimizing the test settings, the hardest sample is best tested first in order to predict the maximum testing range for subsequent samples. A graph to show the compression of an eye pencil. When a trigger force of 5 g is detected the test commences. The probe proceeds to deform the sample to a deformation distance of 8 mm. The maximum peak in Figure 1 represents the force required to cause the initial breaking of the sample.